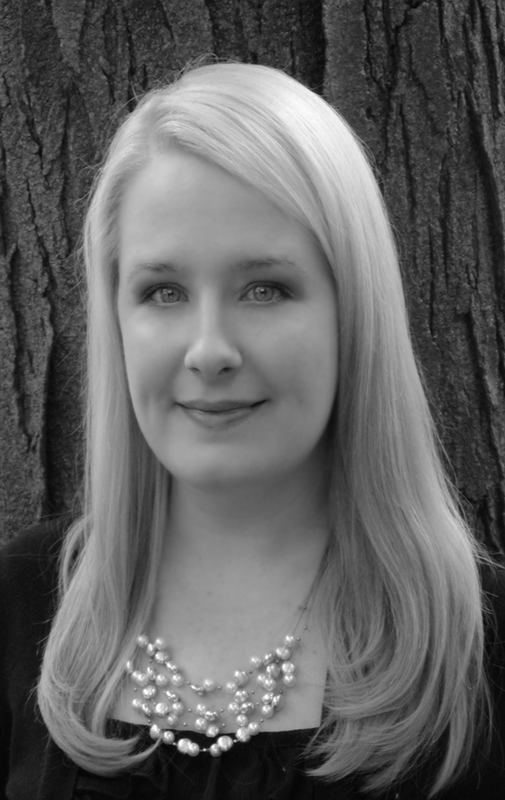 From Goodreads: Bloodlust. Magic. Forbidden secrets. When Savannah Colbert returns to school after a mystery illness, the fact that she has changed is clear to everyone. None more so than every school girls golden boy Tristan Coleman. Ever since their first kiss in fourth grade, Savannah and Tristan have been cruelly and inexplicably banned from associating with each other. Now, as the pair navigate the tricky social life of high school, the truth is about to be revealed. As Savannah learns of their paranormal ancestry and Tristan deals with the repercussions of her new powers, the relationship they have been denied for so long becomes utterly irresistible and all consuming. Like Romeo and Juliet centuries before them, Savannah and Tristan’s love is destined to fail; and Tristan’s powerful magical family, the Clann, are watching. This was such a pleasant surprise - I really enjoyed it and it's one of those books that gets stronger and stronger as the story goes on. Told in dual narrative - which I love - this gives us a great insight into both Savannah and Tristan. The format is slightly different than I am used to - in previous books the dual narrative has alternated by chapters but here it continuously swaps back and forth. It works really well but I did get a bit confused to begin with - I couldn't work out why Savannah had started to talk about herself in third person. But, of course, that could have just been me! Both Savannah and Tristan are really easy to like - and I really liked them together too. They have a shared history that make their connection really believable, as well as something I really invested in. And I loved Savannah's friends, especially Anne. And I loved Savannah's interactions with her father, and her family in general. The mythology is great too. It felt fresh and different, and there is a real reason why Savannah and Tristan possibly shouldn't be together. I loved the whole Clann thing! Plus all the different revelations throughout the story were absolutely brilliant and really addictive! I'm really excited to see where Melissa Darnell takes this - the ending wasn't a major cliffhanger (thankfully) but it does mean I'll definitely be picking up the next book in the series! 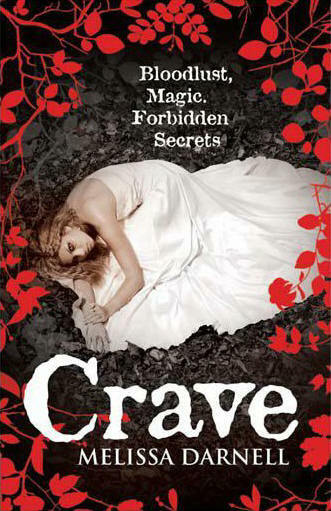 What inspired the idea for Crave? And did it evolve as you wrote? When the YA vampire craze started to take off, as a long time lover of vamp romances I was thrilled but felt the genre was really missing something...namely a vampire heroine. Why should the boys get all the fun here?! But I wanted to see her start off as a normal, clueless human and then have to experience this crazy transformation process as well as learn how to deal with the final result of becoming a vampire. I also wanted a real Romeo and Juliet forbidden kind of love, one where both the hero and heroine were equally powerful, equally interesting in a paranormal way, and equally dangerous to each other so the forbidden aspect of their love would have a huge rippling effect not just on each other but on their worlds as well. When I considered what kind of hero could possibly be as strong and powerful as a vamp, the answer seemed natural...a male witch. I'm a massive fan of dual narration! 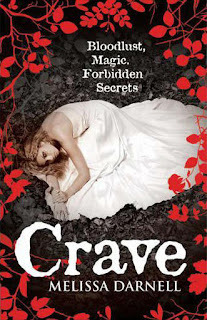 What made you decide to write Crave from both character's point of view? While I dearly love the intimacy of 1st person point of view, as a reader I always yearn to know what the other protagonist in a romance is thinking. I also love to see the misunderstandings and miscommunications that often occur between two characters in love. The dual 1st person points of view seemed the best way to have both, and now feels like a very natural way for me to tell a romance. So I'll probably be sticking with this technique for a long time. What is you favourite aspect of being an author? And the most challenging? My favourite part of being an author is the writing, especially the plotting and rough draft stages. The most challenging used to be the revision stage, but now I'm growing to love this process as well. -- I prefer to be in a closed room somewhere (part of the inspiration for Savannah's "supersonic" hearing ability is because I've always had extra sensitive ears and even the pressure changes in the air from room to room can distract me!). I also need to be alone; otherwise I'm tempted to ask anyone who's there to give me feedback on what I've just written! -- As a former dancer, I've always been nuts about music and really rely on it to help me mentally stay in the right mood for each scene in the story. So before I begin to write any story's rough draft, I always start by creating a soundtrack specifically for that story. This is why you'll always find a playlist on my websites for every story of mine that's published. -- Since I have two young boys and a hubby who all love to be noisy, I listen to that soundtrack (set to loop for hours if necessary) on headphones to further help me focus. -- When both writing and revising, I've also been known to call upon the powers of Nacho Cheese Doritos, Crunch N Munch, and my new love of Snapple Peach Tea when flying through a rough draft. I swear they're superfuel for the brain! Are there any authors who have been a strong influence on you and your writing? I used to believe that you had to have a lyrical, almost poetical style of writing to tell a good romance. Nora Roberts' more straight forward style, while still having a certain lovely way with words, eased me into the concept that the story itself is more important. And then I discovered Laurell K. Hamilton's totally blunt, no-punches-held writing style in the Anita Blake series (adult paranormal) and I realized that, while I can admire others' beautiful writing styles, for me it's always going to be first and foremost about the story itself, not how poetically it's told. Once I understood this about myself, I was finally set free to tell the stories I'd always wanted to tell. 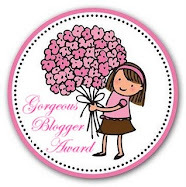 Thank you for having me here on your blog. Readers can also read more about the history of Savannah's race of vampires as well as the Clann, listen to each Clann Series book's playlist, and more at www.TheClannSeries.com, and contact me anytime at www.melissadarnell.com. Make sure you check out the rest of the tour!